Motto: "Where Families Live and Grow"
Hope Mills is located at 34°58′14″N 78°57′24″W﻿ / ﻿34.97056, -78.95667 (34.970679, -78.956603). 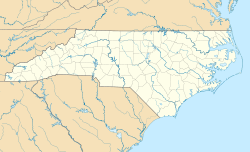 According to the United States Census Bureau, the town has a total area of 62 square miles (160 km2), of which 6.1 square miles (15.8 km²) is land and 0.2 square miles (0.52 km2) (2.40%) is water, including Hope Mills Lake. Chartered in 1891, Hope Mills can trace its beginning back to 1766, when due to the wealth of natural water power and the abundance of timber, a lumber camp, saw mill, grist mill and pottery business were established. In 1839, construction of the first cotton mill powered by the Hope Mills Dam was completed and was the beginning of a new era for the town. Much of the heritage and the town's name itself can be attributed to the cotton milling industry that followed. Before it was known as Hope Mills, the area was known as Little Rockfish Village and as Hope Mills Number One. The local cotton mill and many other buildings were burned by General Sherman and his troops during the Civil War. While the town is small, it offers its residents a full variety of services and recreation. There are public parks and recreational facilities located throughout the town. These facilities provide a wide range of activities from walking trails to tennis courts. Hope Mills has its own Police and Fire Departments and is only minutes away from four major hospitals. The new county library provides a number of special services including summer reading programs and public meeting rooms. Five shopping centers, the historic downtown district, a post office, two medical clinics, five elementary schools Baldwin Elementary, Rockfish Elementary, Collier Elementary Cashwell Elementary, two middle schools South View Middle and Hope Mills Middle, two high schools South View High and Gray's Creek High and more than twenty churches round out a community in which to raise a family and enjoy life. Hope Mills Lake, January, 2009 after a rare snowfall. As of the census of 2000, there were 11,237 people, 4,112 households, and 3,108 families residing in the town. The population density was 1,844.6 people per square mile (712.4/km²). There were 4,497 housing units at an average density of 738.2 per square mile (285.1/km²). The racial makeup of the town was 73.04% White, 17.61% African American, 2.03% Native American, 1.26% Asian, 0.21% Pacific Islander, 2.77% from other races, and 3.08% from two or more races. Hispanic or Latino of any race were 6.40% of the population. There were 4,112 households out of which 46.4% had children under the age of 18 living with them, 54.0% were married couples living together, 17.4% had a female householder with no husband present, and 24.4% were non-families. 19.7% of all households were made up of individuals and 5.3% had someone living alone who was 65 years of age or older. The average household size was 2.73 and the average family size was 3.13. In the town the population was spread out with 32.1% under the age of 18, 8.2% from 18 to 24, 37.0% from 25 to 44, 16.8% from 45 to 64, and 5.8% who were 65 years of age or older. The median age was 31 years. For every 100 females there were 90.4 males. For every 100 females age 18 and over, there were 85.9 males. The median income for a household in the town was $40,697, and the median income for a family was $44,866. Males had a median income of $34,120 versus $21,845 for females. The per capita income for the town was $16,534. About 5.7% of families and 7.8% of the population were below the poverty line, including 8.7% of those under age 18 and 13.7% of those age 65 or over. The number of violent crimes recorded by the FBI in 2003 was 74. The number of murders and homicides was 0. The violent crime rate was 6.2 per 1,000 people. Hope Mills Crime Rate Report (North Carolina) Hope Mills crime statistics report an overall downward trend in crime based on data from 9 years with violent crime increasing and property crime decreasing. Based on this trend, the crime rate in Hope Mills for 2013 is expected to be lower than in 2010. The city violent crime rate for Hope Mills in 2010 was higher than thenational violent crime rate average by 11.42% and the city property crime rate in Hope Mills was higher than the national property crime rate average by 129.31%. In 2010 the city violent crime rate in Hope Mills was higher than theviolent crime rate in North Carolina by 23.76% and the city property crime rate in Hope Mills was higher than the property crime rate in North Carolina by 95.69%. The source of actual data on this Hope Mills, North Carolina crime rate report is the FBI Report of Offenses Known to Law Enforcement for the corresponding year or years. Arson numbers are reported inconsistently. Zero values may indicate the data was not available. The projected crime rate data displayed above was generated from the trends and crime data available from previous years of actual reported data. In this case, the Hope Mills crime report data for 2013 was projected from 9 years of actual data. The last year of actual available crime data, as reported above, was 2010. The FBI cautions the data users against comparing yearly statistical data solely on the basis of their population coverage. The comparisons made herein are thus, only meaningful upon further examination of all variables that affect crime in each reported city, state or other reported jurisdiction. Big Rockfish Presbyterian Church has historic cemetery and is on the national register of historic places. Mars Hill Presbyterian Church Worships on 2nd, 4th and 5th Sundays. ^ "Cape Fear Region Results". Fayetteville Observer. November 9, 2011. SandSpur Newspaper published by the Fayetteville Observer each Wednesday for Hope Mills. This page uses content from the English language Wikipedia. The original content was at Hope Mills, North Carolina. The list of authors can be seen in the page history. As with this Familypedia wiki, the content of Wikipedia is available under the Creative Commons License.